Carptree (Sweden) see: Samples etc. Mickael Carreira (Portugal) see: Samples etc. Jim Carroll was born in 1950, detailing the hard drugs and prostitution of his teenage years in The Basketball Diaries, filmed in 1995. 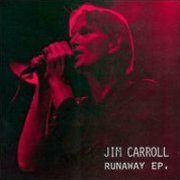 He formed the Jim Carroll Band in his late twenties, collaborating with various New York alumni, including Patti Smith, Lou Reed and the Blue Öyster Cult, amongst others. 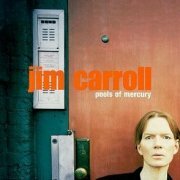 As much a poet as a musician, Carroll has released a handful of records, 1998's Pools of Mercury being his first in fifteen years. Unsurprisingly, much of its content consists of poetry read to music, although there are some proper 'songs' on board, too, notably the excellent Falling Down Laughing and Desert Town, although Carroll speaks rather than sings, in the way that Americans seem to manage with effortless cool, while Brits just sound awkward and self-conscious. Anton Sanko plays Chamberlin, with strings on Things That Fly and (notably, albeit briefly and uncredited) on Hairshirt Fracture, although it's not groundbreaking stuff on the Chamby front, to be honest. Two years on, Carroll released his latest recording to date, the Runaway EP and yes, it's the Del Shannon song, with a surprisingly faithful clavioline (or facsimile thereof) solo. Hairshirt Fracture is a completely different recording to the album version, featuring largish slabs of Mellotron church organ from Built to Spill/Truly stalwart Robert Roth, highly unusually outside a self-consciously 'prog' setting and all the better for it. The album's worth getting hold of, the EP less so, though neither really for their tape-replay work, despite the rare sighting of the Mellotron pipes. Is it just me, or does Carroll's pic on the Pools of Mercury sleeve makes him look like Thin White Duke-era Bowie? Deliberately? Who knows. As a sad (but inevitable) postscript, Carroll died of a heart attack, aged sixty, mere months after I wrote this review. 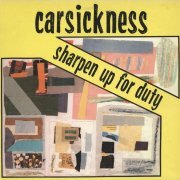 Pittsburgh's Carsickness are usually lumped in with the New York no wave scene, artists who rejected punk's traditional rock'n'roll elements in favour of 'noise, dissonance and atonality...reflecting an abrasive, confrontational and nihilistic worldview' (thanks, Wikipedia). The end result, on their second (and last) album, 1982's Sharpen Up for Duty, is actually less avant- than that description suggests, material such as the title track, Victims Never Smile and Invisible Man hinting at the less mainstream end of Talking Heads. 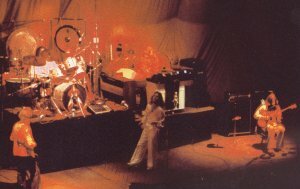 Steve Sciulli plays Mellotron, with skronky strings on Flowers Of Fire, Heard You Screaming, In The Steel Of The Night, Victims Never Smile and Everything Must Fall, particularly choppy ones on Run Away Soldiers and flutes and cellos on Warriors, often used in a pleasingly random fashion. All most unexpected on an album of this type, recorded when it was, I must say. As 'out there' goes, this is quite tuneful, relatively speaking, with enough Mellotron to make it worth the effort for aficionados. John Nicholas "John Carter" Shakespeare is a slightly forgotten figure these days, except among aficionados of British '60s pop, for whom he's remembered as the nearest the UK got to America's Curt Boettcher. Carter and his friend Ken "Lewis" Hawker played together in Carter-Lewis & the Southerners and The Ivy League in the early '60s, after which they backed away from the limelight and took backseat roles, writing and recording a huge quantity of material, using a pool of trusted session singers and musicians. This material was released under a bewildering variety of names, notably The Flower Pot Men, other monikers including Friends, Ministry of Sound, Dawn Chorus and The Haystack. 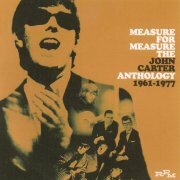 RPM's 2003 two-disc Measure for Measure: The John Carter Anthology, 1961-1977 could never be more than an overview of Carter's work, taking in his major hits, lesser-known material and demos, also covering his and his wife's equally fly-by-night '70s outfits Stamford Bridge, Scarecrow and Kincade. The duo finally hit gold as The First Class in summer '74 with the Beach Boys-go-glam of Beach Baby, after which their fortunes declined. Aside from the expected Mellotron tracks covered elsewhere, a solo Carter demo, Sunshine Girl, features a lovely MkII flute solo, while his demo of a track ultimately released as A.P. Dangerfield, the 'why wasn't this a hit?' Conversations (In A Station Light Refreshment Bar) has the same string and flute parts as the eventual single, only further in the background. I have to say, over two hours of this stuff is a little wearing if you aren't really into lightweight '60s-to-'70s pop, but there are a handful of gems scattered amongst the by-numbers material in which Carter usually specialised. Several Mellotron tracks make this collection worth hearing, although you're probably better off with The Flower Pot Men's Listen to the Flowers Grow, also from RPM. 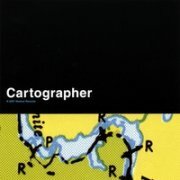 Nick Carter (US) see: Samples etc. Minneapolite (is that a word?) 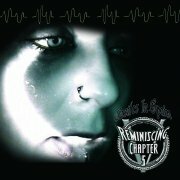 Scott Gagner switched from drumming to singer-songwritering, enlisting the help of several friends to complete the Cartographer EP, released under the same name. It sits at the indie end of pop/rock, which is better than the reverse, at its best on I'm Not Following You and Suburban Girl, maybe. Gagner apparently recorded the Mellotron 'in his bedroom', which is almost a certain sample giveaway, as are the indifferent flutes on Sound Rebounds and Waiting, except that... Closer Jeanette features him messing about on the instrument (on flutes), complete with a 'not pressing the key down heavily enough' moment near the beginning; it's such a distinctive sound that I can't imagine how you'd fake it. As such, here it is and here it sits, unless I receive definite information to the contrary. Caitlin Cary (US) see: Samples etc. Arguably best-known for his membership of Ryan Adams' Cardinals, Neal Casal has had a twenty-year solo career at the time of writing. 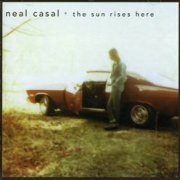 His fourth release, 1998's The Sun Rises Here, errs towards the country side of Americana, better tracks including opener Today I'm Gonna Bleed, the vaguely rocky Reason and the brief untitled track that closes the album, although the whole veers a little too close to 'trad' country for this listener. Chris Pitman plays Chamberlin on The New Jenny Jenkins, with an intermittent flute part throughout; nice to hear, if slightly inessential. The Sun Rises Here probably isn't for Americana fans who prefer the genre's more energetic elements, but does a decent enough job in its chosen niche. Neko Case (US) see: Samples etc. Peter Case (US) see: Samples etc. Both titles: Phonogram Studios' M300? 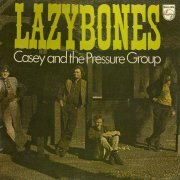 Casey & the Pressure Group (ho ho) were a mostly instrumental Dutch soul/funk outfit, albeit more in what's come to be known as a 'rare groove' format than a 'matching suits with bow ties' one. Led by Cees (or C.M.) 'Casey' Schrama, they only seemingly lasted for two albums, both released in 1970, both now unwitting providers of breaks for those too untalented to actually write their own music (ouch...). They debuted with Lazybones, a decent enough collection if you're into such things, with more sonic variety that I'd expected, incorporating mainstream pop and country amongst the album's influences; and, chaps, what's with crediting Peer Gynt (a.k.a. a funked-up Hall Of The Mountain King) to yourselves, eh? Schrama plays keys, including (Phonogram Studios' M300?) Mellotron, with strings on Silly Sue, a high-speed flute part on Just Like Anyone (well, there's no flautist credited) and more strings (sounding like they involve studio trickery) on closer A Shade Of Blue. 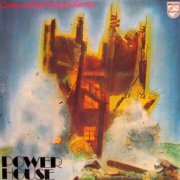 Powerhouse was their speedy follow-up, a bare half-hour long, doubtless due to an unsurprising dearth of new material. Their debut must've sold well enough for Philips to pay for a brass section this time round, giving the material that authentic American sound for which Schrama was clearly striving, audible on most tracks. Schrama's credited with Mellotron again, but if it's here at all, it's obviously buried beneath layers of brass. Unavailable on CD, various tracks from these albums have been anthologised, and they're not difficult to find as downloads (shhh). Amusingly, Schrama was co-opted by a better-known Dutch outfit, Golden Earring, to play Mellotron on their eponymous 1970 effort (a.k.a. Wall of Dolls), although I'm not aware of any other Mellotronic activity from the man. Rich Casey (US) see: Samples etc. The first two reviews here were written a couple of days after Johnny Cash's death, so I felt the least I could do was to honour him by listening to some of his recent music. For those of you who don't know, Rick Rubin (Def Jam) released a Cash album called American Recordings in '94, featuring a stripped-back sound; just the man and his guitar. 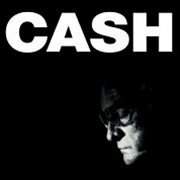 Of course, Cash utterly transcends the genre with which he's always been aligned, predating 'alt.country' by decades, and the four Rubin-produced LPs released before his death prove it unequivocally. The second album in the series, American II: Unchained, features Tom Petty and his inimitable Heartbreakers as Cash's backing band, a pretty inspired pairing, by the sound of it. Several of the tracks are covers, often from unexpected sources; Rowboat (Beck), Rusty Cage (Soundgarden) etc. with excellent results, in most cases. Both Petty and his keyboard player, Benmont Tench, play Chamberlain on the album, with a variety of strings (violas? Solo violin?) on Spiritual, Southern Accents and Unchained; almost fooling the ear into thinking it's a real string section. Nice Chamby use, but outclassed by the quality of the album itself. No Chamberlin on American III: Solitary Man, but Tench was back on 2002's American IV: The Man Comes Around, this time on Mellotron, along with ex-Jellyfish man Roger Manning on Chamby and 'Tron. 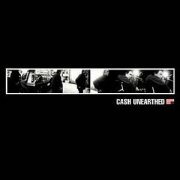 Sadly, it turned out to be the last album of Cash's life, released mere months before the death of his wife, June Carter Cash, followed with almost indecent haste by that of the great man himself. His voice is noticeably less sonorous than on Unchained, and his song selection is rather more variable (Bridge Over Troubled Water? Danny Boy? ), but there are some stunning performances on the album, not least his searing version of Nine Inch Nails' Hurt, with a video to match. More covers, with The Beatles' In My Life and Depeche Mode's Personal Jesus, although hokey country like Give My Love To Rose slightly dilutes the overall effect. Hurt is the first of the album's two tape-replay tracks, with 'Tron flutes and strings from Tench. There's more flutes, plus strings, choirs and raucous cellos from Manning on Bridge Over Troubled Water, which is less cheesy than you might expect, although I'm not sure which is Chamby and which 'Tron. 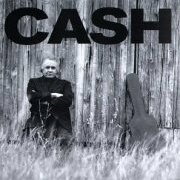 A year after Cash's death, the astonishing 5-CD set Unearthed appeared, containing no less than four discs of previously-unheard material from the Rubin sessions, plus a 'greatest hits' compiled from Americans I-IV; to quote an online reviewer, "Cash's rejects are better than most artists' greatest hits", with which it's difficult to argue. The unheard material has been loosely grouped together according to style and subject, with disc one, Who's Gonna Cry, being exclusively acoustic, and disc four (an unreleased completed album from around the time of American III, which explains its relative brevity), My Mother's Hymn Book, being gospel songs. 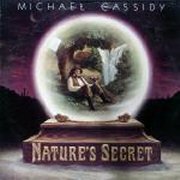 There are several duets spread across the set, including Joe Strummer (Bob Marley's Redemption Song), Nick Cave (Cindy) and Fiona Apple (a less successful take on Cat Stevens' Father And Son), but it's Cash's voice that captivates here, on old classics like Long Black Veil, or new ones such as Cash's own Caretaker, with the heartbreaking line, "Who's gonna cry when old John dies?" On the Mellotron/Chamberlin front, Cash's version of Neil Young's Pocahontas has some flutes, while Jimmy Webb's Wichita Lineman (popularised by Glen Campbell, of course) has sympathetic string and cello parts, although Big Iron's cellos are rather less obvious. Two of the set's four discs (one and four) are entirely acoustic, with only one decent 'Tron track across the other two discs, but that isn't why you need this release. Of the five discs, the only one you may (I do say may) have trouble with is four, My Mother's Hymn Book. Gospel music is all well and good, but to a heathen like me, the usual preposterous nonsense about living for ever in paradise etc.etc. begins to grate after a while. Sorry, John. The tracklisting above omits disc five, as the entry's quite long enough already, and the two tape-replay tracks are available on the other two relevant albums. Just to prove that the vaults are not only not empty, but still contain very worthy material, 2006 brought American V: A Hundred Highways, although, frankly, it could just as easily have been subtitled 'Songs About Death'. 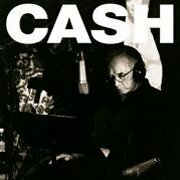 Of course, I doubt whether Cash actually intended these songs to fit together like this; posthumous editing can give a very different spin on things, but just about everything here has something to do with death, be it the jaunty Like The 309 or Hank Williams' heartbreaking On The Evening Train. And I think we all know what the authors meant on I'm Free From The Chain Gang Now... Benmont Tench is credited with piano, harpsichord and organ so what's that I can hear on Springsteen's Further On Up The Road? Polyphonic flutes, too much warble for a Mellotron, so presumably Chamby. Actually, the instrumental credits are exceedingly vague, with a long list of 'additional musicians who offered invaluable contributions', in contrast to the detailed credits on earlier albums. Incidentally, Rubin's sleevenotes are centred around the night he heard Cash had died and how he kept the news from his fellow diners so as not to spoil the evening. In their near-decade of collaboration, the two obviously became very close, and I don't think it's an overstatement to say that Rubin effectively retrieved Cash from his '70s and '80s doldrums and possibly even absolved him, in whichever way you care to take that. So; Unchained is probably the best of these albums overall, but the highlights of The Man Comes Around are probably, er, higher, while Unearthed and A Hundred Highways have many gems among the also-rans. Either way, all these albums contain classic tracks, and are worthy closers to Cash's career. Reasonable Chamberlin/Mellotron stuff, too, with two excellent 'Tron tracks in Bridge Over Troubled Water, bizarrely, and Wichita Lineman. Buy? According to taste. Casiotone for the Painfully Alone (US) see: Samples etc. If you're British and have ever trawled through second-hand or charity shops (and who hasn't? ), you will at some point have run into a copy of Golden Avatar's 1976 opus Change of Heart. I have one. Have I ever played it? No, I haven't. I believe that the reason the market's so flooded with them is that they were sold, probably for a 'contribution', by London's Krishnas (or Krsnas), a familiar, orange-robed sight to anyone who's spent any time in the West End. 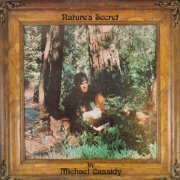 The man behind the album, Michael Cassidy, released another album the following year under his own name, Nature's Secret, which seems to've been available in various sleeve designs, depending on the country of release. It's dated for '77, let alone '79, the release date I've seen quoted as often as not, it's mid-'70s soft rock aesthetic disappearing gently into a haze of... Hang on, this guy's a Krishna devotee, not a West Coast hippy, so the phrase I was about to use, 'pot smoke', is probably irrelevant. Or not? In fairness, I've heard worse, but the upbeat material's pretty disposable, leaving the gentler tracks (Surrender, I'll Never Be Younger Than Today) as its least dull. Wayne Cook (Steppenwolf, other lesser-knowns) plays keys, with quite unmistakeable Mellotron strings on Spirit Of Reason and Hidden Worlds, although that seems to be our lot. Compared to Change of Heart, Nature's Secret is relatively hard to find, or maybe it turns up in places other than London. Either way, while vaguely acceptable, it's all distinctly unexciting, with only a couple of minor Mellotron appearances to spice it up at all. Cast (Mexico) see: Samples etc. 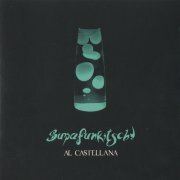 It doesn't take a massive leap of the imagination to work out that Al Castellana's commonly-misspelled second solo release, Supafunkitsch!, is, indeed, an album that channels The Funk. But does it channel it well? I'm not sure I can even tell, but it channels it in Italian, for those oddballs allergic to other-language music (I've met them, believe me). Anything here I actually liked? The Clavinet-driven Non C'è Verità and Perdonami, perhaps, dislikes being the tracks that ape the Philly soul sound, particularly Ogni Istante, sitar or no sitar and Lento Abbandono. Nick Ardessi's credited with Hammond and Mellotron on opener Corri, with a distant string part that actually sounds (distantly) convincing, although how I'll ever find out for sure is an unknown thing. Funky enough for funk fans, then, probably too funky for the rest of us. Castle Canyon (US) see: Samples etc. Surrounding Me ¿Que Paso Nino? San Franciscans Castles in Spain sit somewhere in between several stools, not least old-school hard rock and '90s alt.rock, with folk and psych interjections, at least on their fifth album, Reminiscing Chapter V. Unfortunately, that relatively promising-sounding stew is less fun than it sounds, although originals like My Blue Sea and Surrounding Me aren't too bad, ditto their version of Neil Young's Old Man. Sylvia Massy plays her M400 on a couple of tracks, with distant strings (under real ones) on Old Man, although, if they pull the same trick on Mothers [sic.] Song, it's effectively inaudible. Not really that exciting, very little Mellotron. Cristian Castro (Mexico) see: Samples etc. Jason Castro (US) see: Samples etc. Catbird (Denmark) see: Samples etc. The multi-national trio (Czech, Swiss and German) of Milan Pilar, Charly Antolini and Max Greger Jr. apparently met while playing in Greger's father's (doubtless jazz) band. They decided to record an album of them 'blowing' at their hottest, calling themselves Catch Up, although I've also seen them listed under their names. 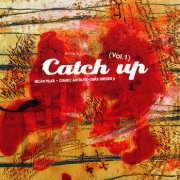 Catch Up Vol. 1 (I don't believe there was ever a Vol. 2) is in many ways a typical German fusion album, full of fiery playing, but this time adding a funk sensibility that most of their peers couldn't match, making this a favourite with the breakbeat crowd. As with most fusion, if you're of the post-beatnik persuasion you'll probably like it, and if not... Spinning Wheel was the one track that really caught my ear, probably due to Greger's ripping Hammond solo, reminding me slightly of the much-missed Rick van der Linden's playing in Trace. Fairly typical fusion 'Tron use, with slabs of heavily-reverbed strings wafting around in the background on Onkel Joe and a cello line with discordant strings in Lydia. Slightly more tuneful strings and cellos in Blues For The Kaiser and a flute melody in the latter part of A Night Without Dreams/The Little Things That Make Us Happy makes for reasonably heavy Mellotron use in the genre, bordering the point at which you could buy it (cheaply) for that alone. Decent enough, with the proviso that it's instrumental jazz fusion of the most uncompromising kind. Chris Catena (Italy) see: Samples etc. 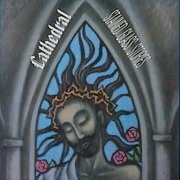 For anyone who's heard Sweden's Änglagård, the Cathedral sound will have a strange ring of familiarity to it; that 'play a riff twice, then move on to something else before boredom sets in' approach. However, Stained Glass Stories predates the Swedes by nearly fifteen years, so Cathedral can probably be said to have actually invented the technique. It's impossible to pick a standout track, although album opener Introspect may just possibly be the best example of their sound, with Mellotron church organ as well as the more familiar sounds. Keyboard player Tom Doncourt goes all-out on the Mellotron front, with more string section and (male voice?) choir than you can shake the proverbial stick at, including a possibly over-ambitious choir melody that stretches the machine, er, slightly past its design limitations. Fantastic use all round, though, making this one of the American Mellotron albums. Doncourt still has his machine, unlike so many of his contemporaries, and is talking about putting out some of his post-Cathedral work at some point. So, if you want to hear one of the best US prog albums EVER, buy! 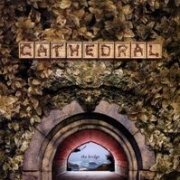 Just when you thought it was safe to go back in the water... Fast-forward almost thirty years, and instead of solo Doncourt, what should appear but a new Cathedral album? 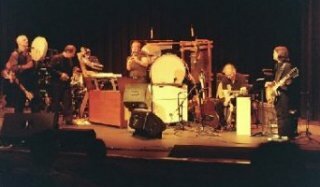 2007's The Bridge features, amazingly, four of the five original band members, with only guitarist Rudy Perrone missing (and then only recently), replaced by David Doig. So, have they mellowed in the interim? Have they settled into a comfy musical middle age, playing soft rock with a hint of neo-prog about it? Have they hell. Opener The Monsterhead Suite has a Crimson feel about it, while Satellite's angular riffs aren't going to please the armchair brigade one little bit. Good. Unsurprisingly, the album has echoes of the band's original sound about it, although also unsurprisingly, many other influences have clearly been soaked up in the intervening decades, which only serve to broaden their palette and make them more inventive. Paul Seal's vocals are both as melodic and as unconventional as ever, the marvellously-named Mercury Caronia IV's percussion work is still offbeat, while remaining strictly on the beat, and Fred Callan (driving force behind the reformation, apparently) still plays Taurus pedals, though nowhere near as much as I'd like. Album's highpoint? hard to say, but the closing couple of minutes of The Secret are pretty cataclysmic. Doncourt's Mellotron work is as full-on as ever, with some tricky string pitchbends on The Monsterhead Suite, alongside cellos, choirs, and some unidentified woodwind. Of course, this is 2007, so he's also credited with 'other keyboards', so it's not always easy to determine what's what with the less-obvious sounds, although the bulk of his work consists of the Old Favourites, but since when did we have a problem with that? Although Tom plays real flute on the album, that's definitely the taped variety at the beginning of Angular World (see, told you they were angular), and is that Mellotron brass in The Secret? In fact, the only 'Tron-free track is Doig's acoustic solo piece, Kithara Interludium, which doesn't overreach itself, even at seven minutes, making this a Mellotron-lover's dream. 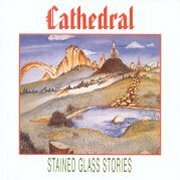 So; Stained Glass Stories is one of the '70s most inventive US prog albums, and The Bridge is one of the most inventive of whatever you call this decade, making the flaccid likes of The Flower Kings et al. look as safe as they are. If you have any interest in lesser-known prog, I strongly urge you to buy both these albums pronto (assuming you can actually find their debut, as I believe it's been criminally discontinued), both for the music and the Mellotron. And it's real! More, please.